I found these last night. 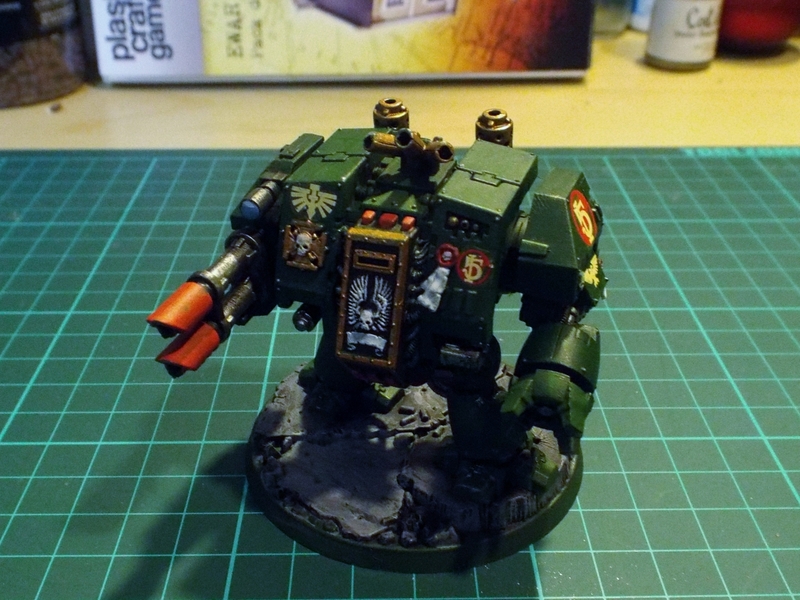 They are part of my Dark Angels ‘Deathwing’ army, which also includes a Land Raider and several Terminator squads. 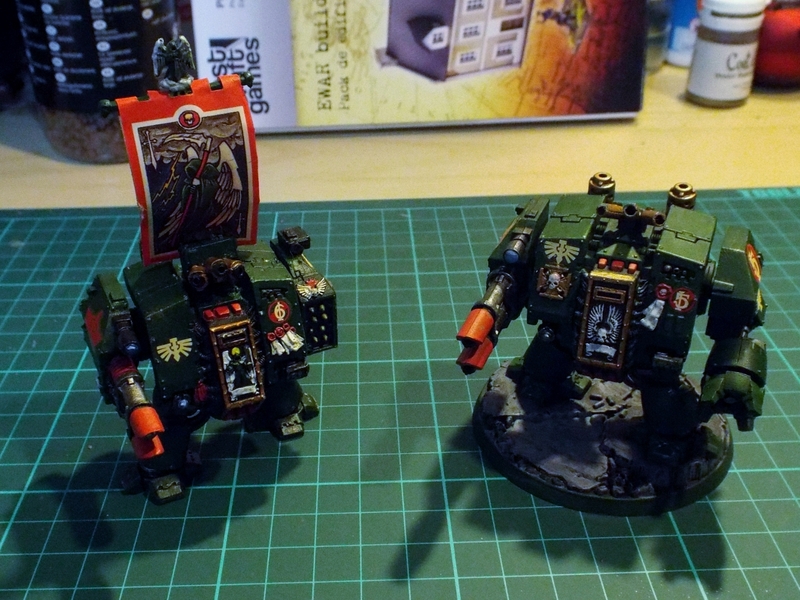 I used to play 5th Edition W40K (or maybe it was 4th…) with them. BTW, can someone tell me why such an iconic force is actually not very good in the game? Nice work Neil! Keep up the good work. A good idea. Repurposed 40k and WHFB models still have quite a reasonable variety of rulesets to continue playing in. I see you have the Heavy Metal version of the DA dread, too. One of my favourite models from back in the day! Anyway, they’re pretty cool too. Over the course of 2015 I think I had 5 games with my Warhammer Fantasy and 40k minis. Twice Lion Rampant with Warhammer figures, one game of Flying Lead with 40k figures, one game of Chain of Command with 40k figures, and one game of actual 40k (6th edition) to show a guy the rules (game consisted of a unit of Orks running towards a unit of Eldar Guardians). 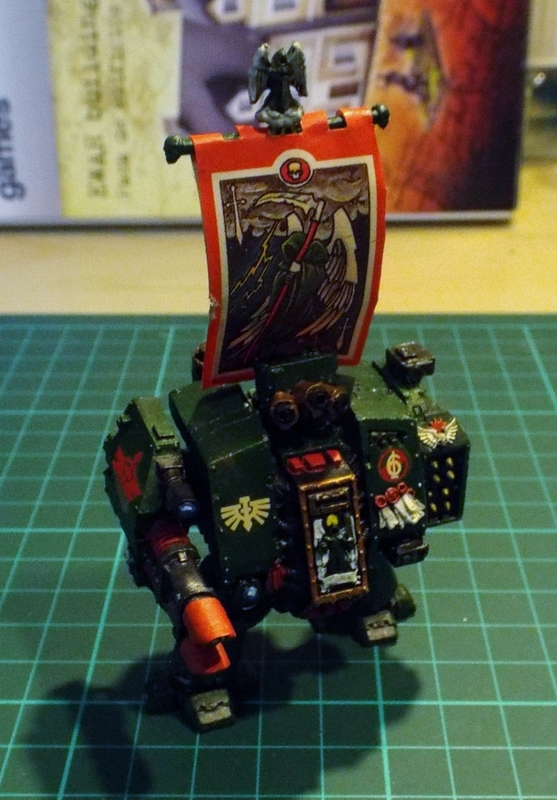 I don’t care much for the current 40k rules. Some day I should play Rogue Trader and I’d like to play 2nd edition again some time, but that’s about it. There are so many sets of rules which I find more interesting/entertaining/to the point/believable to play with the 40k figures.